Over the month of June the temperatures rise from 83°F to 88°F. Rabbits hate heat, but these temps aren’t awful. The bucks go sterile anyways. So, I didn’t feel guilty breeding back in May. But, as we are coming up to the week of their birth, we are expecting temperatures of 99 degrees, record highs for three consecutive days. I am worried. Very worried. Heat kills. It is easy to feel defeated, with the grass turning to hay in the back yard, and cracks forming in the earth parched for water. 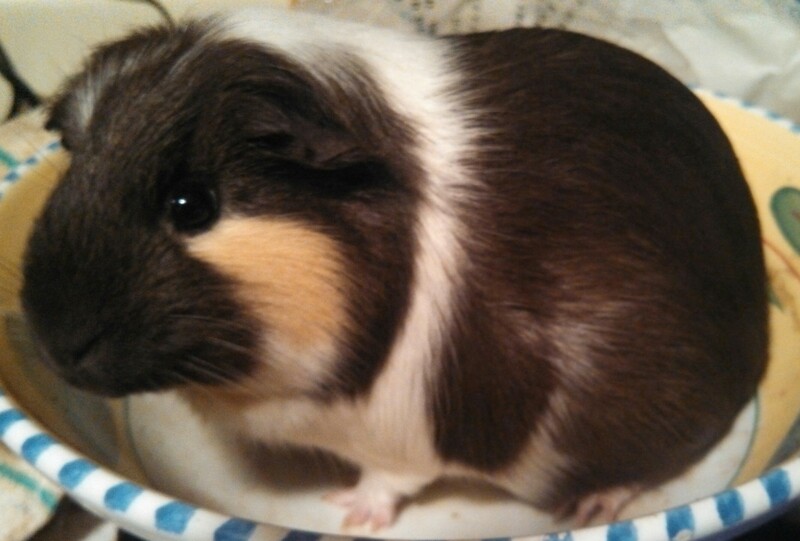 The dead bodies of my beloved pregnant guinea pig cradled in my arms like some pathetic baby. The litter lost due to heat stress, and watching my poor rabbits pant and struggle for breath. I have bricks that I soak in water that continues to cool them during the day. I have frozen bottles and ice cubes for them. But when you need to be at work all day, it is very difficult. My next post will detail another way to keep things cool. I have to keep this in perspective. This winter, I lost 15+ rabbit kits and over 30 baby guinea pigs as a result of one awful winter storm when the rabbit assembly tipped over. The temperature went from 35 degrees to below zero with windchill in a matter of hours. But I learned how to manage. I got stronger. I lost Cassius today. She was heavily pregnant, and the heat killed her. She was a sweet guinea pig, and seized onto two babies and killed them as well.